It is recommended to supplement with the formula regularly. In order to maximise its impact on growth hormone release, it is suggested to take doses of the supplement regularly within a day. Since the highest amount of GH is secreted during sleep, it is recommended to take the highest doses of the supplement at bedtime. The minimum daily intake of lysine is about 30 mg/kg of body weight. In order to avoid unpleasant side effects associated with digestive dysfunction, it is suggested to divide your daily doses into smaller doses. Adding magnesium to your supplementation regime exerts synergistic effects on the nervous system. It is manifested by a soothed nervous system and efficient regeneration. 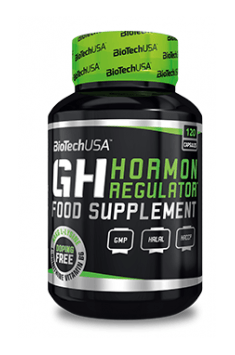 Natural dietary supplement increasing level of testosterone. Reduces the level of estrogen and increases strength.